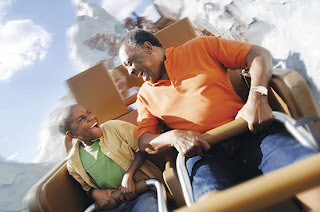 Are you planning on visiting Walt Disney World Resort this spring? There sure is plenty to look forward to at our parks, including the return of the Epcot International Flower & Garden Festival and the upcoming debut of A Pirate’s Adventure: Treasures of the Seven Seas at Magic Kingdom Park, just to name a few. If you live in the state of Florida, be sure to check out our latest deal for Florida residents – a new three-day Discover Disney Ticket that costs $119, plus tax. You can even add a fourth day for just $10 more. Tickets can be purchased now through June 3, and can be used through June 7, 2013 (*blockout dates do apply). Please contact Jedi Mouseketeer's Official Travel Agent Kristen Hoetzel of Magical Journeys to book your trip and get professional advice today by clicking HERE!